With school back in the swing of things, at TAMID Group at Tufts we’re busy recruiting members and acclimating to our fresh status as a full chapter. After a year of vigorously working toward the goal of full chapterhood, we’re proud to be officially recognized and join the international TAMID family. Isaac Herman and David Shepard, current co-presidents, arrived at Tufts last year as freshmen with the vision of creating a chapter due to TAMID’s breadth of unique opportunities, as they heard from a friend, who is president of another TAMID chapter. 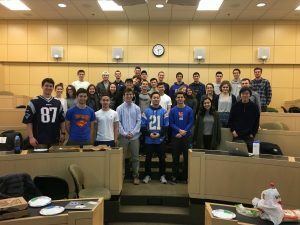 They were intrigued by TAMID’s ability to combine experiential learning with entrepreneurship, investing, and consulting, and so they made it their priority and year-long goal to create a TAMID chapter at Tufts. After recruiting a board of eight business-minded student leaders with diverse networks at Tufts, we were on our way to full chapterhood in the 2016-2017 school year as a beta chapter. Our chapter hosted a few speakers while in beta mode, such as Alex Goldstein of 90 West Consulting, Emily Levy of Mighty Well, and Eldad Postan of OurCrowd. Members enjoyed learning about the Israeli innovation system, Boston’s unique relationship with Israeli startups, and social entrepreneurship during these events. Members also had the opportunity to attend the TAMID New England Conference, which was noteworthy because it allowed our members to see the regional and national scope of TAMID as an organization. Lastly, and most proudly, some of our members attended the Israel Independence Day Student Gala, where TAMID Beta at Tufts was awarded the Israel Business Initiative Award by the Combined Jewish Philanthropies of Boston and the Consulate General of Israel to New England. We were recognized among other student leaders in the New England region for exceptional Israel-related advocacy and contributions. This was a groundbreaking moment for us as the award was our first tangible evidence that we were doing something right. Now, in our first working month as a full chapter, we’re excited to see where the future will take us. 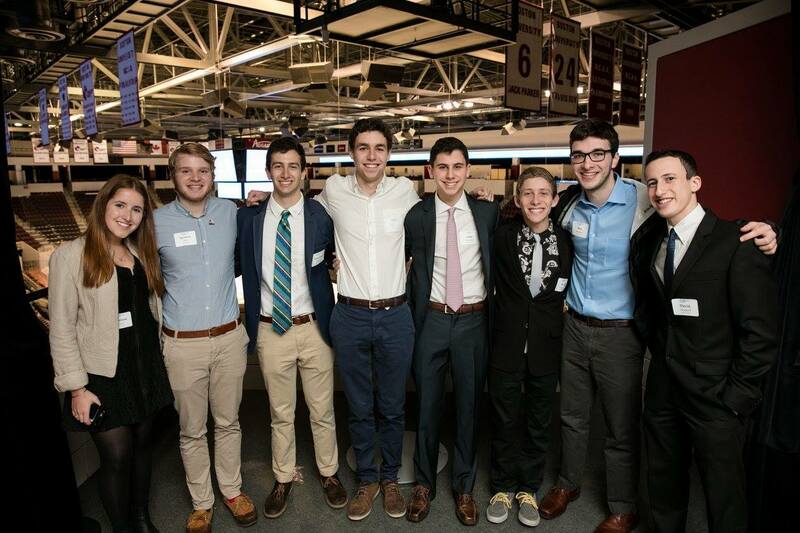 A few of our board members recently attended TAMIDcon, the annual TAMID convention, and have come back to Tufts with new perspectives and ideas on how to vastly improve our chapter. The main concept our members focused on at the convention was how to smoothly transition after the beta semester. They learned how to “scale the chapter,” which encompasses four main points: cohesion, keeping it fresh, growth, and a leadership pipeline. These four points, which translate into clear communication, constant improvement in social events, mentorship, and programming, cohesive recruitment and marketing strategies, and identification of future talent, should assist the chapter in a year of expansion and prosperity. And while these points are pertinent to our chapter’s future success, the most valuable thing our members learned at TAMIDcon is that the networks we’ve gained and will continue to gain through TAMID are endless.